Data Center Infrastructure Management (DCIM) is a software solution for managing data center infrastructure and the resources it uses. When properly deployed, DCIM can optimize both the physical infrastructure and the operations of a data center. Bridging this gap between facilities and IT offers a single-screen view of the power and cooling infrastructure and the IT equipment it supports. Most DCIM solutions are vendor-neutral allowing users to connect equipment regardless of manufacturer. Additionally, DCIM can typically integrate with Building Management Systems to offer a holistic view of the entire facility. The value of DCIM goes beyond the main data center and into Network Closets and branch offices. Most devices connected to the network can be connected to DCIM, allowing data center managers visibility into network closets and remote and branch offices. As trends in IT force more computing to the Edge and more network closets are deployed, managing these remote assets becomes increasingly critical. Once deployed, DCIM shows data center managers the real-time status of their equipment. Using SNMP traps, alarms can be forwarded to users via email, text, or phone. Get alerts when certain events occur such as a UPS going on battery, a battery failure, or a closet with key card access is opened. When connected with certain censors, DCIM can alert you when the temperature or humidity in certain areas goes outside set parameters. 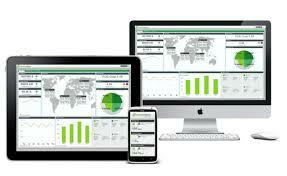 DCIM is a proven tool to help Facilities and IT remotely monitor and manage their equipment. With real-time, centralized information, you can increase uptime by seeing potential problems before they develop. You can save money and increase efficiency by identifying stranded capacity. call 800-876-9373 or email us at sales@power-solutions.com. StruxureWare Data Center Expert provides an efficient way for organizations to monitor their company-wide multi-vendor physical infrastructure: power, cooling, security, and environment. 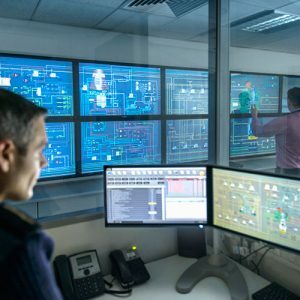 Real-time monitoring, user-defined reports and graphs, and instant fault notification and escalation enable quick assessment and resolution of critical infrastructure events that can adversely affect IT system availability. 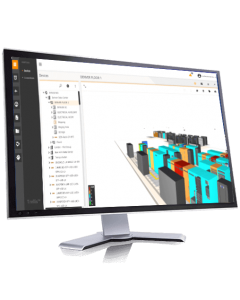 By providing real-time, integrated view of IT and facility assets, Vertiv Trellis Enterprise Solutions makes it easier to collaborate, plan and control changes in the data center. A modular and scalable DCIM platform that fits every sized company, it helps mitigate IT risk, optimize efficiency and support business initiatives.